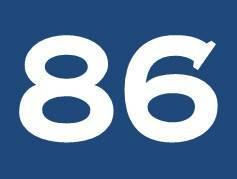 Anyone who has ever worked in the restaurant business knows when you hear the term "86'd" it means to throw something out or get rid of it. No one is really too sure where the term came from, but a quick internet search seems to indicate the most plausible is from a 1933 column by newsman Walter Winchell where it showed up as part of a "glossary of soda-fountain lingo." We bring this up for discussion because in the banking industry, many have said banks should 86 their branch networks. After all, who uses a branch these days and when was the last time any self-respecting millennial or Gen X would be caught dead in one? To have a good discussion on this topic, we begin by catching everyone up on the baseline numbers. As of the end of Q2, there were about 92,603 bank branches in the country. Given a population of 322.8mm, that means there is 1 branch for about every 3,485 people. Now that we know where we are, we take a quick moment to discuss where we have been. This year (through Q2), there were 680 net bank branch closures, so annualized we would expect about 1,360 for 2016. Over the past few years we have seen net branch closures of 1,614 (2015), 1,657 (2014) and 1,100 (2013). Looking back a bit further, we find the last time the industry added branches was in 2009, when 238 net came online. Since then (and incorporating annualized 2016 data), net branches have declined by 8,660 or about 2% per year. This is interesting when you consider banks themselves have historically been merging at about a pace of roughly 4% per year. Next, we drill down further into the branch footprint of banks across the country. Here, we find that as of Q2, the top 5 banks with the most branches were: Wells Fargo (6,230), JPMorgan (5,440), Bank of America (4,765), US Bank (3,222) and PNC (2,707). Adding it all up, we find this group of 5 banks controls about 24% of all the branches in the country. As we move downward on our branch count list, we find a few other interesting tidbits. For instance, the top 11 banks have 1,200 branches or more, or about double the level of the bank ranked #20 (BMO Harris). Also of note, 20% of the top 20 banks with the most branches in the US are controlled by banks outside the country (Canada & Spain). If you add in the bank at #21 (Bank of the West), you could add France to that list and the percentage jumps to about 29%. Adding up the total branch count of the top 20 banks we find they control about 38,379 branches or just over 41% of the total. Finally, we analyze the branch itself as a channel. Here BBA research indicates the number of customer interactions at a branch (from 2010 to 2015) has declined 15%, while internet interactions climbed 25% and mobile soared 940%. Meanwhile, Medallia research finds Millennials are 250% more likely than Boomers to use mobile banking and about 20% less likely to visit a branch in person. This is important because by 2020 Millennials will be 50% of the workforce, with Gen X at 20% and Boomers at around 20%, so customer demographics are shifting. Still other research by Javelin finds a transaction at a branch costs up to 430% more than through a mobile channel, so expenses are also an issue. Finally, consider research by TimeTrade that finds the main reasons people say they visit a branch are to make a deposit or withdrawal (72%), use the ATM (50%), open an account (39%), conduct business services (17%), get a loan (13%) or to get help for retirement, insurance or wealth management (9%). Some of these reasons are being quickly replaced by mobile or online options and seem to indicate branch consolidation will continue over time. While the data points to more consolidation and less people coming into branches over time, today this channel remains important. For instance, just consider JPMorgan that says each branch brings in annual profit of $1mm and that small businesses (the bread and butter of community banking clients) still prefer to deposit money frequently and handle banking needs face-to-face. Given the cost of operation and changing customer preferences, banks will keep analyzing the branch as a delivery channel in coming years. Perhaps one day, more will even 86 some locations. Until then, however, we would expect community banks will leverage any opportunity that strolls in, as they keep customers happy with stellar service. Yields tumbled 3bp amid mixed economic data. Millennials say they are open to and would be likely to use the following nontraditional providers for personal banking and financial needs: Amazon (40%), Google (37%), PayPal (34%), Apple (31%), Walmart (26%), AT&T (24%), Verizon (24%), Facebook (24%), Starbucks (22%), Twitter (19%), and Square (16%). This is important to know because millennials will represent 50% of the workforce in 2020. Research by ThreatMetrix and Ponemon finds 72% of consumers are concerned or very concerned about becoming a victim of online fraud and 84% said it was important for online payment services providers to protect them. Research by Bank of America Merrill Lynch of employee financial wellness finds: only 59% of employees surveyed at the end of 2015 said they were always able to pay their monthly mortgage or rent vs. 77% back in 2013 (a 23% decline in 2Ys).